3 Likes 1gdog, Trainman19 and StateLine-IndianaCity like this. Made some more progress on old #1 tonight after work. I got the headlight shelf made up and soldered on to the boiler. 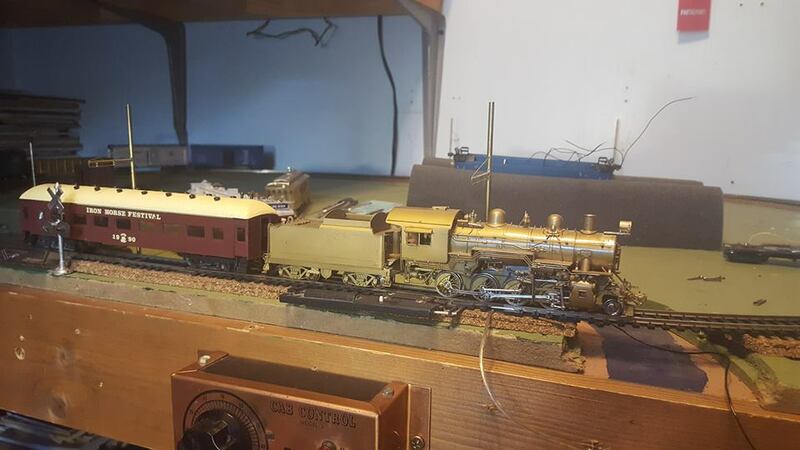 From all the pics, it appears to be a simple fabricated metal shelf that extends back to near the stack and sets the headlight above the smokebox face, where as on a PRR H10 it would be mounted on a shelf bolted to the smokebox face itself. The headlight in the pic isn't correct, its just sitting on the shelf to give the "look". A correct one with the side number boards is on its way, along with the brass keystone plate for the smokebox face. Coupled up is my 1990 Souvenir MDC/Roundhouse coach(need to find a few more of these). 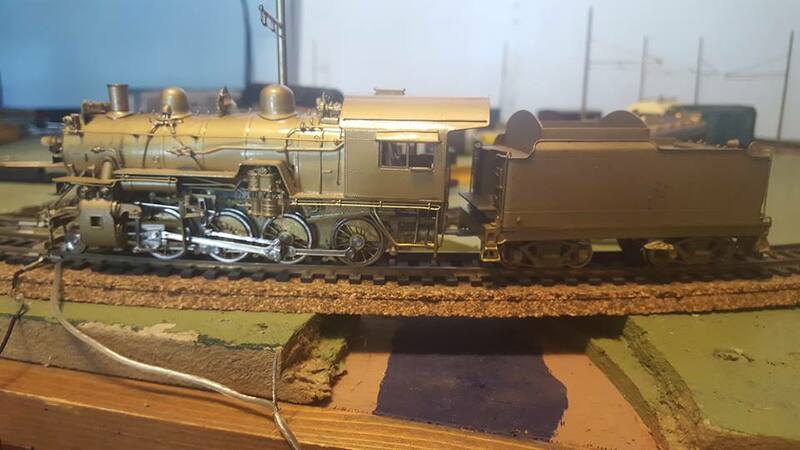 Removed from the model were the class lights and mounting brackets, flying numberboards and the headlight and shelf from the smokebox door. She has gotten some run time, nearly silent running with the stock Sagami motor and gear box. The massive amounts of extra weight was removed as it was only adding to the wear on the running gear. The stock boiler weight has been installed and is plenty for all she will now pull. 2 Likes 1gdog and inbb58 like this.